Fulminant myocarditis is uncommon, but life-threatening, and some patients need mechanical circulatory support. This study was performed to evaluate how different types of mechanical circulatory support—biventricular assist device (BiVAD) or left ventricular assist device (LVAD) placement—affect intraoperative hemodynamic status. From January 2013 to September 2016, the patients who underwent BiVAD or LVAD placement for fulminant myocarditis were analyzed. The mean arterial pressure (MAP), mean pulmonary arterial pressure, central venous pressure (CVP), vasoactive score, and inotropic score were recorded at five time points: after the induction of anesthesia; at weaning, 30 min after weaning, and 60 min after weaning from cardiopulmonary bypass (CPB); and at the end of surgery. The vasoactive and inotropic scores were calculated as follows: vasoactive score = norepinephrine (µg/kg/min) × 100 + milrinone (µg/kg/min) × 10 + olprinone (µg/kg/min) × 25: inotropic score = dopamine (µg/kg/min) × 1 + dobutamine (µg/kg/min) × 1 + epinephrine (µg/kg/min) × 100. We enrolled 16 patients of fulminant myocarditis. Ten of them underwent BiVAD placement, and the other underwent LVAD placement. After weaning from CPB, the BiVAD group had a significantly lower MAP but no difference in CVP. 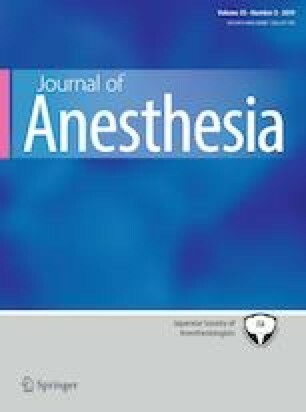 The vasoactive score was significantly higher in the BiVAD group at weaning of CPB (p = 0.015), 30 min after weaning (p = 0.004), 60 min after weaning (p = 0.005), and at the end of surgery (p < 0.016). Patients with BiVAD placement required more vasoactive support to maintain optimal hemodynamic status compared with those with LVAD placement. This result indicates that BiVAD placement was more associated with vasoplegic syndrome.